Fiddler Emilyn Stam from Balfolk Toronto joins us on Episode 396 of Folk Roots Radio to chat about Balfolk, that’s the modern revival of traditional, predominately Western European, social folk dances and the upcoming Big Branch Festival a three day “Balfolk” festival/camp taking place the weekend of September 7-9. 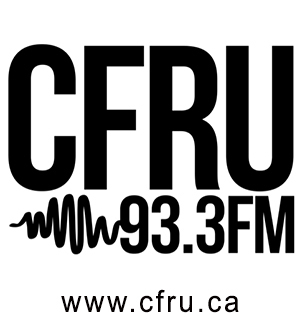 We also check out new music from Alan Barnosky, David Davis & The Warrior River Boys, The Furious Seasons, Steve Dawson, Laüsa, Duo Rivaud Lacouchie, Steve Howell & The Mighty Men, Bobby Sweet and Chuck Brodsky. Check out the full playlist below. Toronto-based singer-songwriter and guitarist Noah Zacharin released one of our favourite albums of 2016, the genre defying electric album “Strange Rider”, a widescreen production that moved effortlessly between blues, jazz, folk, pop and r n’ b, and even threw some doo-wop into the mix. 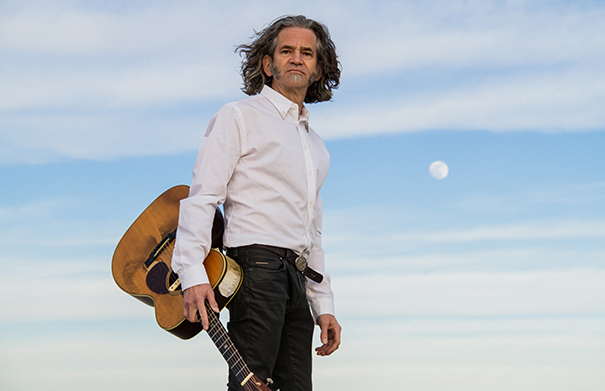 Noah’s just released the follow-up, “A Startle Of Wings”, which sees Noah playing almost strictly solo acoustic guitar on 14 songs that show the depth and quality of his songwriting – a stripped down recording he describes as best enjoyed in a quiet space with headphones. This is an album that deserves to be explored and savoured. We caught up with Noah Zacharin at home in Toronto to learn more about the new album. 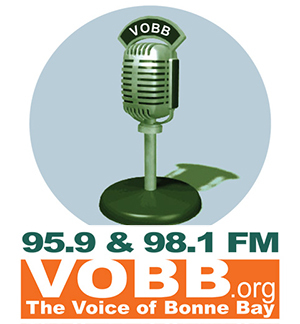 For more information about the music of Noah Zacharin, visit noahsong.com. Music: Noah Zacharin “Morning Comes On”, “Starlings” and “Wood And Wire” from “A Startle Of Wings” (2018, Self). 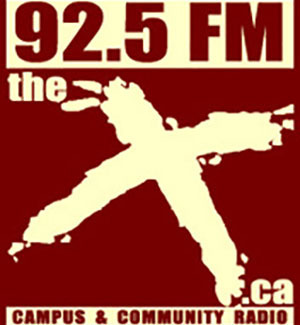 The Big Branch Festival is a three day “Balfolk” festival/camp hosted by Balfolk Toronto taking place September 7-9, at Unicamp Ontario, in Honeywood near Shelburne ON (along the Bruce Trail). “Balfolk” is a modern revival of traditional, predominately Western European, social folk dances. Dances range from simple partner dances like the waltz, mazurka and schottische, to hypnotic chain dances like the andro, gavotte, and ride from Bretagne as well as energetic mixer dances. 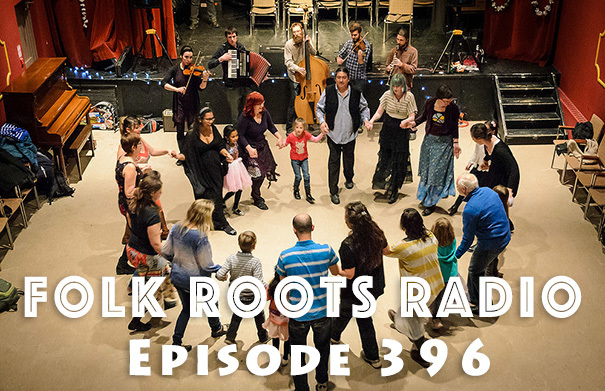 Balfolk dances are simple and easy to learn, and leave lots of room for improvisation. The intent of a Balfolk session is simple – relax and lean into the music and see where it takes you! 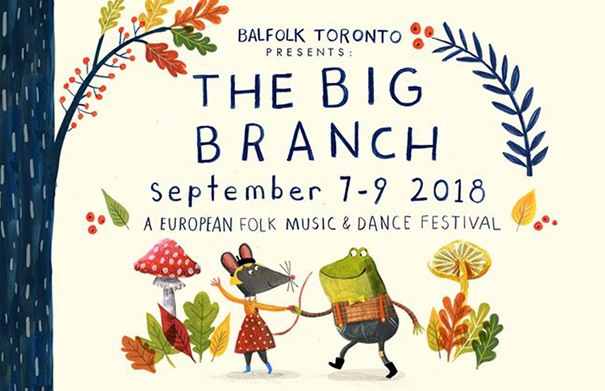 The Big Branch Festival will feature dance and music workshops, with performers from France (Laüsa, Duo Rivaud Lacouchie, Duo Le Bour Bodros), Italy/Canada (Filippo Gambetta & Emilyn Stam) and dance instructor Louise Marius from the Netherlands. We caught up with one of the organizers, fiddler Emilyn Stam, to learn more about Balfolk Toronto and The Big Branch Festival. For more information, visit thebigbranchfestival.com. Music: Laüsa “Nau Gojatas” from Laüsa (2018, Tradethik) and Duo Rivaud Lacouchie “Ordich Janeta / Scottish d’Eugene Tarrade” from “Ordich!” (2016, AEPEM). Hard to categorize British roots duo Red Dirt Skinners will be releasing their new album “Under Utopian Skies” this September. 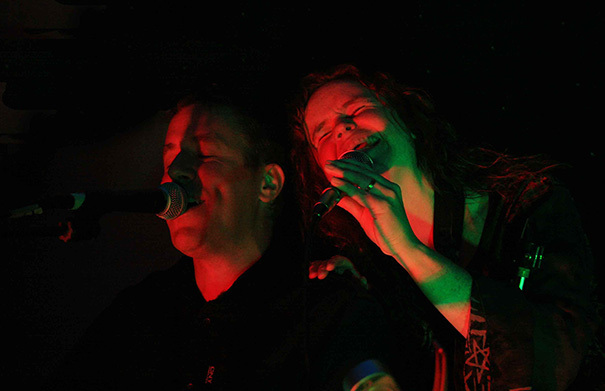 Featuring multi-instrumentalists Sarah Skinner and Rob Skinner, the band have become big favourites on both the British blues and country scene, but with influences that range from Pink Floyd and Supertramp to Crosby Stills & Nash and John Prine, they really do have an across the board appeal. Renowned for their soaring choruses, fabulous soprano sax solos and clever thought provoking lyrics, the title of the new project reflects on their love for their new home in Canada, after emigration in 2017. We caught up with Sarah and Rob Skinner at home in Ontario to chat about the new album. 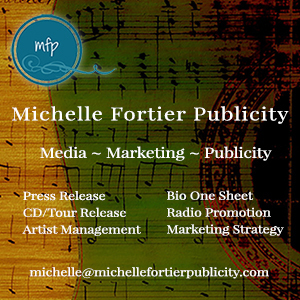 For more information about the music of the Red Dirt Skinners and upcoming tour dates, visit reddirtskinners.com. Photo: John Milford. Music: Red Dirt Skinners “Hey Crawford”, “Blossom & Rain”, “Lay Me Down” and “This House” from “Under Utopian Skies” (2018, Self). 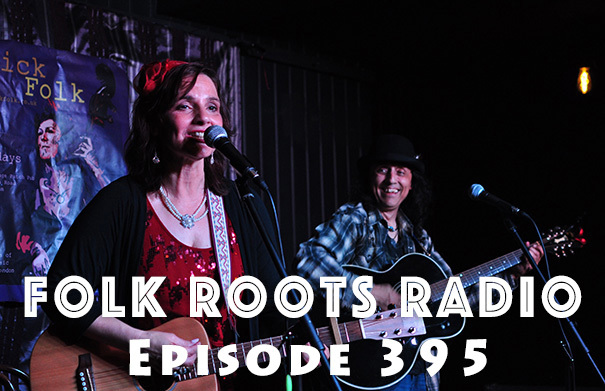 Canadian Americana/folk singer-songwriter Tia McGraff joins us on Episode 395 of Folk Roots Radio for an in-depth conversation about her wonderful seventh album, “Stubborn In My Blood”. Recorded with partner Tommy Parham and some top class support, the new recording has already garnered some great reviews. 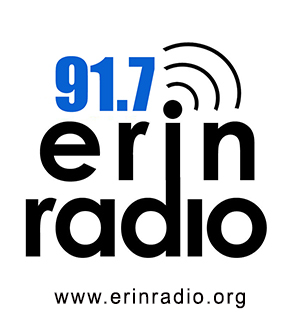 We also check out new music from Oliver The Crow, Alan Barnosky, Jon Brooks, Sam Bush & Bela Fleck, and the Kris Lager Band. It’s a great episode. We hope you’ll check it out. Check out the full playlist below. 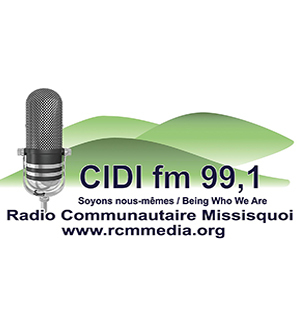 We’re getting set for the 2018 Summerfolk Music and Crafts Festival which takes place the weekend of August 17-19 in Kelso Park, on the shores of Georgian Bay, just outside Owen Sound. One of the friendliest festivals out there, and now in its 43rd year, it’s always a fabulous weekend. Each year, Summerfolk prides itself in putting together a wonderful musical line-up, and the 2018 edition is no exception. 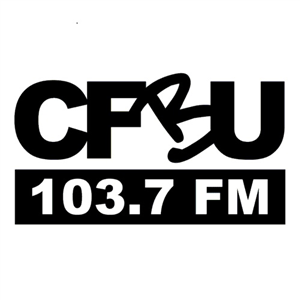 This year’s festival features more than 40 different musical acts from Canada and across the world in genres that range from folk, roots, country and bluegrass, to blues, and even hip-hop and funk. As always, there are also lots of children’s activities, community workshops, artisan booths, dozens of food vendors… and two licensed areas. 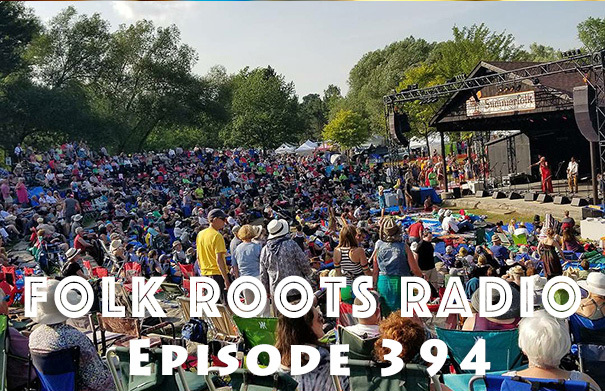 Artistic Director James Keelaghan joins us on Episode 394 of Folk Roots Radio to chat about the role of the AD and some of the artists he’s excited to see at the festival. 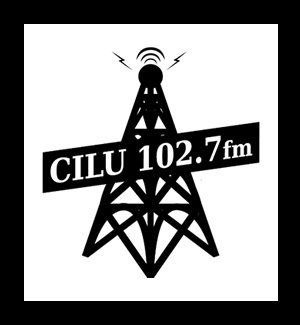 We also check out music from Summerfolk 2018 performers Rose Cousins, Bahamas, Suzie Vinnick, Susan Aglukark, Goitse, Calan, Harpoonist & The Axe Murderer and Vishtèn. Check out the full playlist below. There’s nothing better than having a new album come in, you play it once, and then want to play it again… and again… and again. 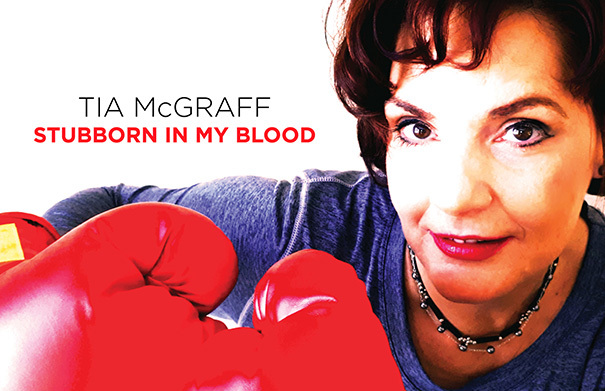 Canadian Americana/folk singer-songwriter Tia McGraff has just released a fabulous seventh album, “Stubborn In My Blood”. The new album is her most personal album to date, and features 11 thoughtful and reflective songs – most written with her partner Tommy Parham alongside co-writes with Wood Newton, Pete Riley, Henry Priestman and Devon O’Day and a cover of the classic “One Tin Soldier”. It’s an album that’s clearly intended to move and inspire her growing worldwide audience. With some great musicianship and support from some of the industry’s top players, powerful lyrics and strong vocals, and an album cover that features Tia in boxing gloves, its clear that this time around, she’s not holding anything back! As well as the new album, Tia is now also a published author having released a children’s book, Jake The Road Dawg, based on her dog Jake’s adventures on the road with a couple of crazy touring musicians. Tia will be appearing at the Fred Eaglesmith Charity Picnic in Aylmer on August 18 and at MacKenzie Hall Cultural Centre in Windsor ON on Friday August 24 before heading to the UK for a September tour. 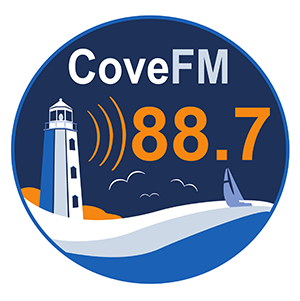 We caught up with Tia at home in Port Rowan ON to chat about the new project. For more information about the album and upcoming tour dates, visit tiamcgraff.com. Music: Tia McGraff “Pilot Of Change”, “Let ’em See Your Strong”, “Travelin’ By Guitar” and “Stubborn In The Blood” from “Stubborn In The Blood” (2018, Bandana Records).